The initial commissioning period of the new HARPS spectrograph (High Accuracy Radial Velocity Planet Searcher) of the 3.6-m telescope at the ESO La Silla Observatory has been successfully accomplished in the period February 11 - 27, 2003. This new instrument is optimized to detect planets in orbit around other stars ("exoplanets") by means of accurate (radial) velocity measurements with an unequalled precision of 1 meter per second . This high sensitivity makes it possible to detect variations in the motion of a star at this level, caused by the gravitational pull of one or more orbiting planets, even relatively small ones. "First Light" occurred on February 11, 2003, during the first night of tests. The instrument worked flawlessly and was fine-tuned during subsequent nights, achieving the predicted performance already during this first test run. The measurement of accurate stellar radial velocities is a very efficient way to search for planets around other stars. More than one hundred extrasolar planets have so far been detected , providing an increasingly clear picture of a great diversity of exoplanetary system. However, current technical limitations have so far prevented the discovery around solar-type stars of exoplanets that are much less massive than Saturn, the second-largest planet in the solar system. HARPS will break through this barrier and will carry this fundamental exploration towards detection of exoplanets with masses like Uranus and Neptune. Moreover, in the case of low-mass stars - like Proxima Centauri - HARPS will have the unique capability to detect big "telluric" planets with only a few times the mass of the Earth. The HARPS instrument is being offered to the research community in the ESO member countries, already from October 2003. 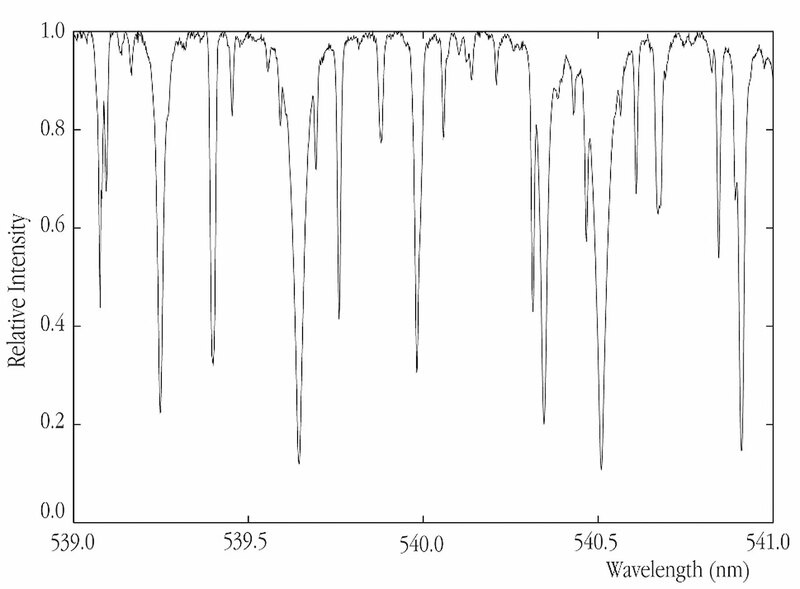 HARPS is a unique fiber-fed "echelle" spectrograph able to record at once the visible range of a stellar spectrum (wavelengths from 380 - 690 nm) with very high spectral resolving power (better than R = 100,000). 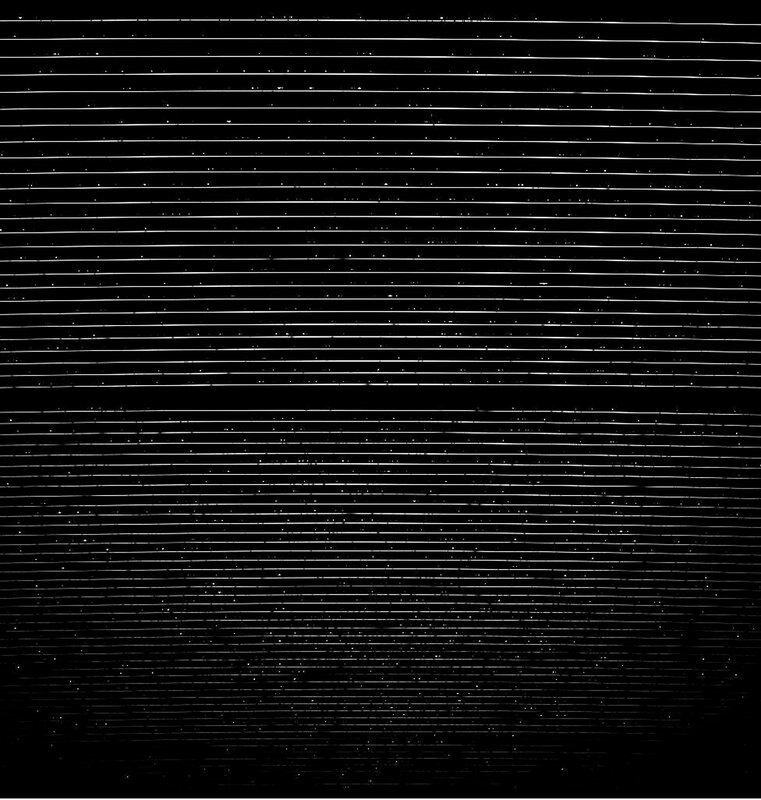 Any light losses inside the instrument caused by reflections of the starlight in the various optical components (mirrors and gratings), have been minimised and HARPS therefore works very efficiently . During the first commissioning period in February 2003, the high efficiency of HARPS was clearly demonstrated by observations of a G6V-type star of magnitude 8. This star is similar to, but slightly less heavy than our Sun and about 5 times fainter than the faintest stars visible with the unaided eye. During an exposure lasting only one minute, a signal-to-noise ratio (S/N) of 45 per pixel was achieved - this allows to determine the star's radial velocity with an uncertainty of only ~1 m/s! . For comparison, the velocity of a briskly walking person is about 2 m/s. A main performance goal of the HARPS instrument has therefore been reached, already at this early moment. This result also demonstrates an impressive gain in efficiency of no less than about 75 times as compared to that achievable with its predecessor CORALIE. That instrument has been operating very successfully at the 1.2-m Swiss Leonard Euler telescope at La Silla and has discovered several exoplanets during the past years. In practice, this means that this new planet searcher at La Silla can now investigate many more stars in a given observing time and consequently with much increased probability for success. The goal of measuring velocities of stars with an accuracy comparable to that of a pedestrian has required extraordinary efforts for the design and construction of this instrument. 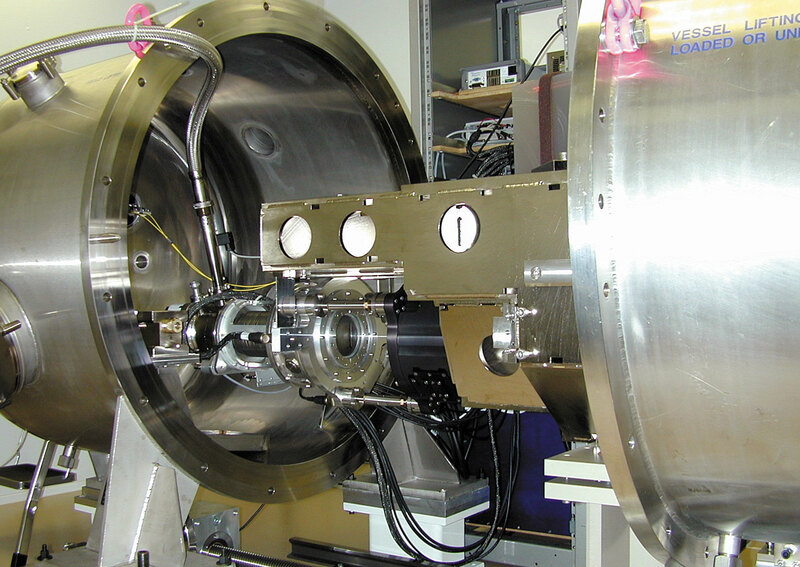 Indeed, HARPS is the most stable spectrograph ever built for astronomical applications . A crucial measure in this respect is the location of the HARPS spectrograph in a climatized room in the telescope building. The starlight captured by the 3.6-m telescope is guided to the instrument through a very efficient optical fibre from the telescope's Cassegrain focus. 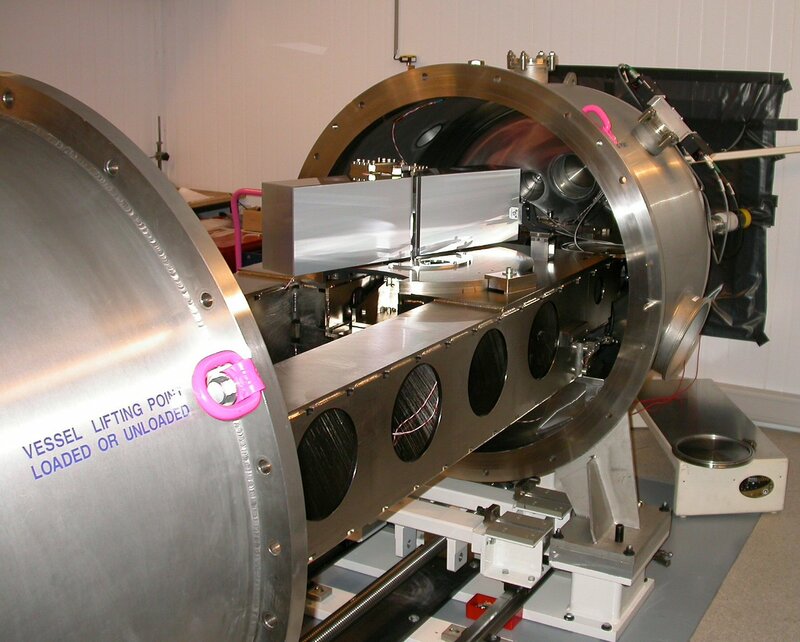 Moreover, the spectrograph is placed inside a vacuum tank to reduce to a minimum any movement of the sensitive optical elements because of changes in pressure and temperature. The temperature of the critical components of HARPS itself is kept very stable, with less than 0.005 degree variation and the spectrum therefore drifts by less than 2 m/s per night. This is a very small value - 1 m/s corresponds to a displacement of the stellar spectrum on the CCD detector by about 1/1000 the size of one CCD pixel, which is equivalent to 15 nm or only about 150 silicon atoms! This drift is continuously measured by means of a Thorium spectrum which is simultaneously recorded on the detector with an accuracy of only 20 cm/s. 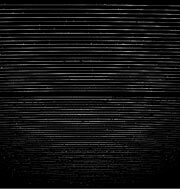 ESO Press Photo eso0308 illustrates two fundamental issues: HARPS performs with an overall stability never before reached by any other astronomical spectrograph, and it is possible to measure any nightly drift with an accuracy never achieved before . During this first commissioning period in February 2003, all instrument functions were tested, as well as the complete data flow system hard- and software. Already during the second test night, the data-reduction pipeline was used to obtain the extracted and wavelength-calibrated spectra in a completely automatic way. The first spectra obtained with HARPS will now allow the construction of templates needed to compute the radial velocities of different types of stars with the best efficiency. The second commissioning period in June will then be used to achieve the optimal performance of this new, very powerful instrument. Astronomers in the ESO community will have the opportunity to observe with HARPS from October 1, 2003. This superb radial velocity machine will also play an important role for the study of stellar interiors by asteroseismology. Oscillation modes were recently discovered in the nearby solar-type star Alpha Centauri A from precise radial velocity measurements carried out with CORALIE. HARPS is able to carry out similar measurements on fainter stars, thus reaching a much wider range of masses, spectral characteristics and ages. Michel Mayor, Director of the Geneva Observatory and co-discoverer of the first known exoplanet, is confident: "With HARPS operating so well already during the first test nights, there is every reason to believe that we shall soon see some breakthroughs in this field also" . HARPS has been designed and built by an international consortium of research institutes, led by the Observatoire de Genève (Switzerland) and including Observatoire de Haute-Provence (France), Physikalisches Institut der Universität Bern (Switzerland), the Service d'Aeronomie (CNRS, France), as well as ESO La Silla and ESO Garching. The HARPS consortium has been granted 100 observing nights per year during a 5-year period at the ESO 3.6-m telescope to perform what promises to be the most ambitious systematic search for exoplanets so far implemented worldwide . The project team is directed by Michel Mayor (Principal Investigator), Didier Queloz (Mission Scientist), Francesco Pepe (Project Managers Consortium) and Gero Rupprecht (ESO representative). The high level of stability achieved by the thermostatically controlled vacuum-spectrograph HARPS has never before been reached by any other astronomical spectrograph. In the case of more conventional instruments, drifts of several hundreds of m/s may occur during one observing night due to the variation of atmospheric pressure (at the rate of about 90 m/s for 1 mbar variation) or the ambient air temperature (300 m/s for 1° variation). It is expected that there will be a smooth drift of perhaps a few tens of m/s during one year, due to thermo-mechanical flexure and relaxation of the HARPS instrument. However, since such a long-term drift can be measured regularly and very accurately by means of the Thorium calibration spectrum, this effect can be fully compensated for and thus poses no problem. 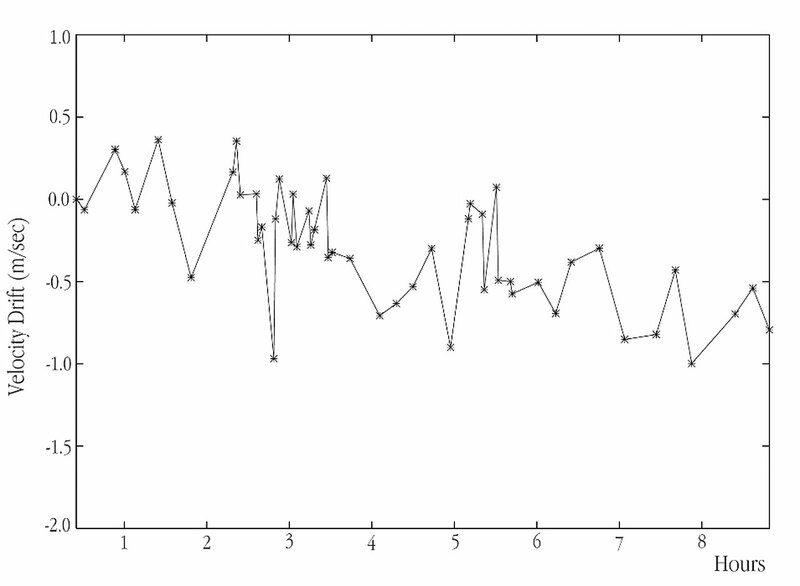 In fact, the measured nightly drift of HARPS is so small and so smooth that it is possible to compute an average value of this drift with an accuracy of only a few cm/s. For more details about the HARPS Spectrograph, please consult the HARPS websites at the Geneva Observatory and at ESO, or the articles about this new instrument in the ESO Messenger Nos. 105 and 110.